Within Teamwork Projects you may sometimes want to disable all email notifications across all of your projects. Select the Preferences tab from the edit details modal. Receive 'Added as a follower' emails? Receive daily 'Project Report' email? 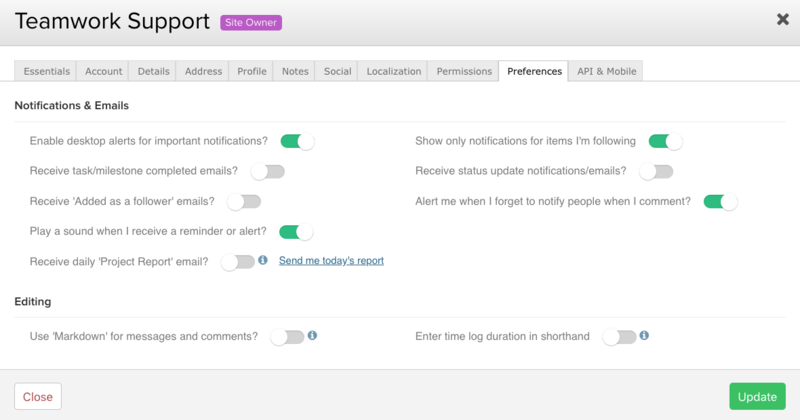 Note: These preferences apply to email notifications across all of your projects.